Like a well oiled machine, The Creative Assembly have released Alien Isolation‘s fourth DLC pack, Lost Contact, four months after the game’s October 2014 release. At any rate, Lost Contact follows the same pattern laid down by the previous DLC, Safe Haven. Instead of a series of small missions with optional objectives, Lost Contact takes place in a single large map, in which players begin in a safe room and venture out into the station to accomplish different objectives. Like Safe Haven, the map is split into two sections: a residential area, and an industrial area. As the player accomplishes more objectives, the missions become tougher, but the game rewards completed missions with new weapons and equipment. Players can save their game using points accumulated from the missions, or they can end the map prematurely to log their existing points. The ultimate goal, of course, is to complete all ten missions in less than two hours. 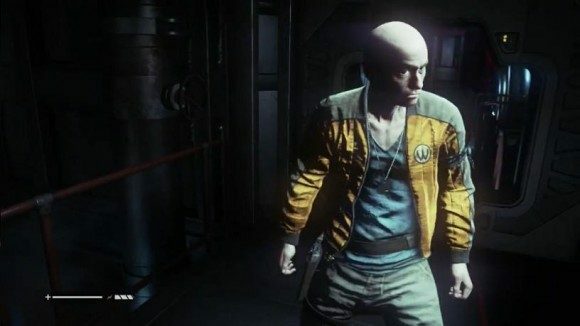 With two DLC packs following a mult-mission formula and two DLC packs following a single hub-based mission formula, it’s anyone’s guess as to what the fifth and final Alien Isolation DLC pack will contain. It’s strongly rumored, however, that this final DLC will have players take on the role of Ricardo, another character that aids Ripley in the main campaign. Lost Contact is included with the game’s Season Pass, which includes all current and future DLC for $30, and is also purchasable as a standalone download for $8.